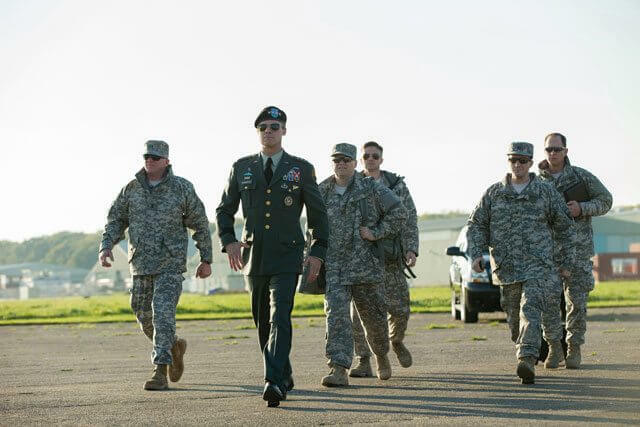 Netflix has released the first teaser trailer along with three photos from War Machine, inspired by Michael Hastings’ The Operators: The Wild & Terrifying Inside Story of America’s War in Afghanistan. Animal Kingdom‘s David Michôd wrote and directed the Netflix original film that features a cast led by Brad Pitt. Tilda Swinton, Sir Ben Kingsley, Anthony Michael Hall, Topher Grace, Will Poulter, Lakeith Stanfield, Emory Cohen, John Magaro, RJ Cyler, Alan Ruck, Scoot McNairy, and Meg Tilly co-star. Netflix is planning a May 26, 2017 premiere. The Plot: An absurdist war story for our times, writer-director David Michôd recreates a U.S. General’s roller-coaster rise and fall as part reality, part savage parody – raising the specter of just where the line between them lies today. His is an exploration of a born leader’s ultra-confident march right into the dark heart of folly. 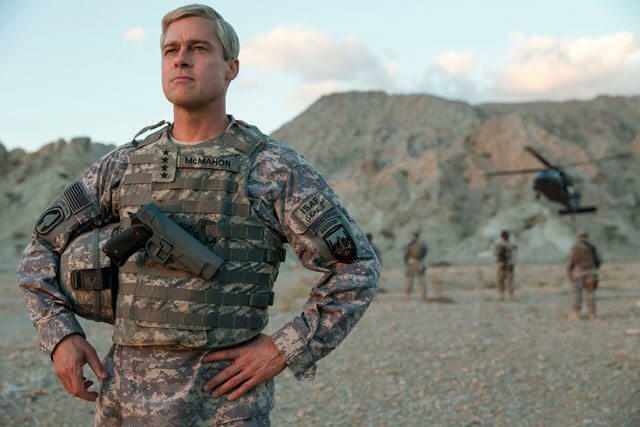 At the story’s core is Brad Pitt’s sly take on a successful, charismatic four-star general who leapt in like a rock star to command NATO forces in Afghanistan, only to be taken down by a journalist’s no-holds-barred exposé.